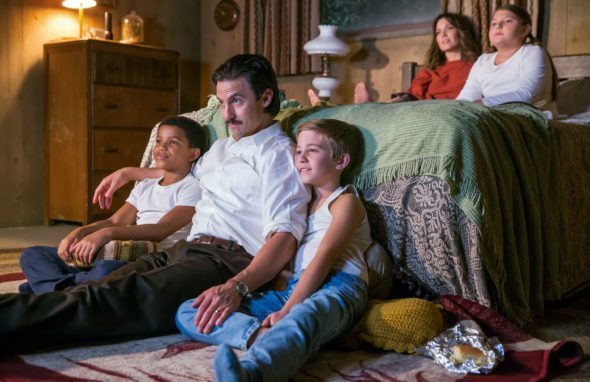 “That child became my life.” NBC has released a first look at season two of This Is Us. According to series creator Dan Fogelman, the new season will reveal more about Jack’s (Milo Ventimiglia) death. The returning cast includes Mandy Moore, Sterling K. Brown, Chrissy Metz, Justin Hartley, Susan Kelechi Watson, and Chris Sullivan. Season two of This Is Us premieres on NBC on September 26th at 9 p.m. ET/PT. What do you think? Do you watch This Is Us? Are you excited for season two? I am eager for this next season and know there will be tears as well as laughter. This program became my favourite last season. The acting,direction,story, actors all became very special. The best program last year by far. Based on the clip, I cannot help but think that Beth and Randall are planning to adopt. (?) Hmm, or is Beth unhappy that Randall was adopted. (?) Anyway, the show has a great cast of characters with awesome writers and creators. Woo hoo for season two! I totally agree that this is the best show ever! It’s the best show ever!!!! I love this is us, I don’t like that Jack has to die, so sad.